Want to find out the Lake District weather today? Trying to find out the winter conditions on the Cumbrian Fells? Just want to look at the view from our office? Well you've come to the right place. 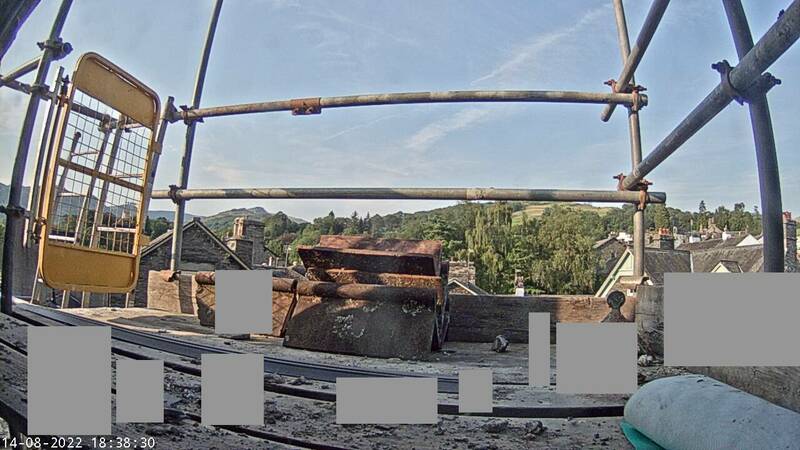 Updated every 10 minutes, our mountain webcam will give you a window into the Lake District from wherever you are in the world. Peering out from our offices in Ambleside, it looks across the roof tops of Ambleside and up towards the iconic mountain range of The Fairfield Horseshoe, one of the most popular walks in the central fells. The peaks you can see are (from left to right) Rydal Fell (621m), Great Rigg (766m), Fairfield (873m) and High Pike (656m) - although when the cloud comes in you may well have to limit your view to the TV aerial on next doors roof! If you find you have an old picture coming up, just refresh your page and the latest view should appear. For a full weather forecast for the Cumbrian Mountains then try visiting the Mountain Weather Information Service at www.mwis.org.uk.